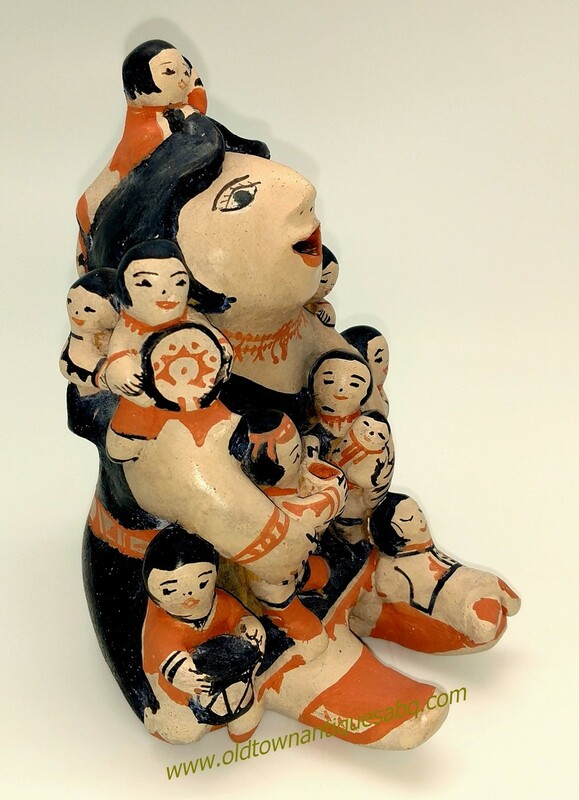 Felicita Eustace was born in 1927 at Cochiti Pueblo. After marrying, she moved to her husband’s home at Zuni. She In addition to her pottery skills, Felicita learned silversmithing at Zuni. 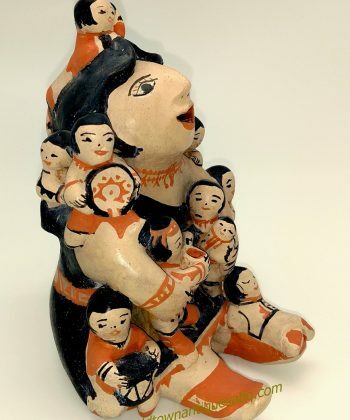 This mother or auntie has nine children, variously perched on her, all with a smile, with three holding a basket, pot and drum. Felicita’s faces are distinctive, pleasant and charming. Various observed small details, jewelry, clothing, and expressions all add to the personalities of her figures. This lady with family is 6 1/2″ x 5 3/4″ wide, signed and documented on the underside, in excellent condition.